There’s much more to Mr Voigt’s career than a smiling face and gutsy breakaways. 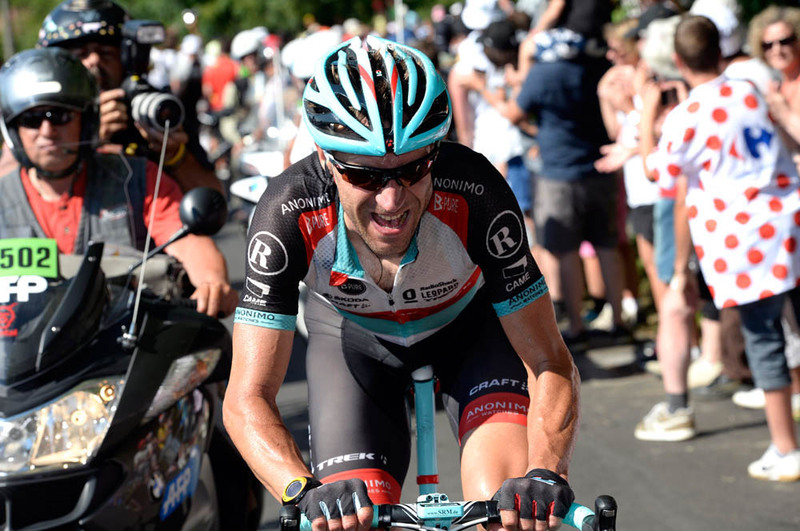 The five-time winner of the Critérium International and two-time winner of the Tour of Germany was instrumental in Carlos Sastre’s 2008 Tour de France victory, and ‘Jensie’ himself has enjoyed his own share of glory in La Grande Boucle. At this year’s Grand Départ in Yorkshire, millions of fans watched him give it a big trademark “shut-up legs” to scale the Dales ahead of the field. 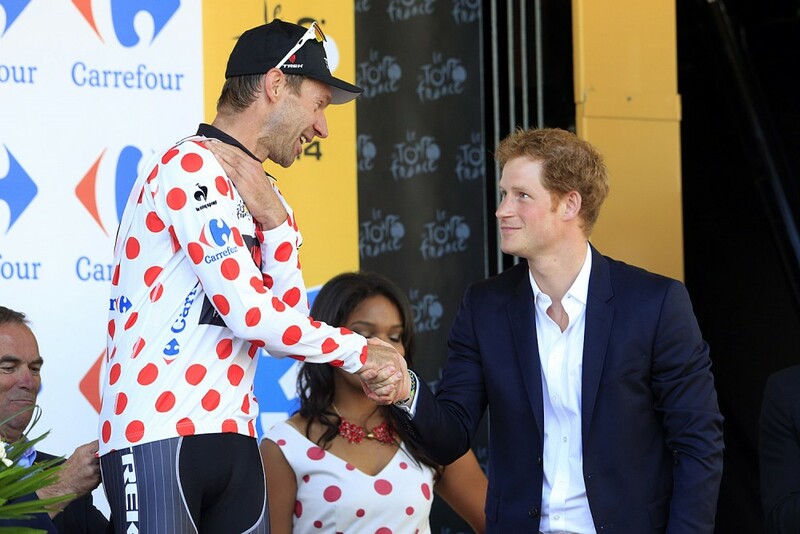 And Voigt evidently enjoyed being presented with the polka-dot jersey by Prince Harry, alongside the Duke and Duchess of Cambridge. What made you choose cycle racing over other sports when you were young? JV: Where I come from [Grevesmühlen, in the former East Germany], we had track and field and I liked it. One day we had a long jump training session and I believe I jumped as hard as I could but the coach wouldn’t believe me, so he made me run two penalty laps. I didn’t like it, so I was out of there. Cycling was the other big sport in my little home village. I was 10 years old, and one day the cycle coach said, “Whoever signs up with us this afternoon will get a brand new Diamant bike.” I was very excited to get a free bike. In East Germany, we had only one company producing bikes, Diamant, and Trek bought them after the Berlin Wall came down. I now ride for Trek, which has been kind enough to offer bikes for my kids. So my kids are now riding the same bikes as I did when I was younger. Who were your cycling idols when you were growing up? JV: When I was young, we lived behind the Iron Curtain, so I only knew Eddy Merckx from the other side, and a little bit about Bernard Hinault. But I knew all about the East European cyclists, so they were my heroes: Olaf Ludwig, who turned professional with Panasonic, and then Team Telekom, for instance. I had his pictures on my bedroom wall. What is the most memorable race of your career? JV: My victory at the Paris-Bourges in 2003, which was unexpected because I just raced on instincts and guts alone. I had not trained and had been out all night in the bar a couple of nights before. It was not an easy time, as I was about to leave the team and relations with the management were not good. 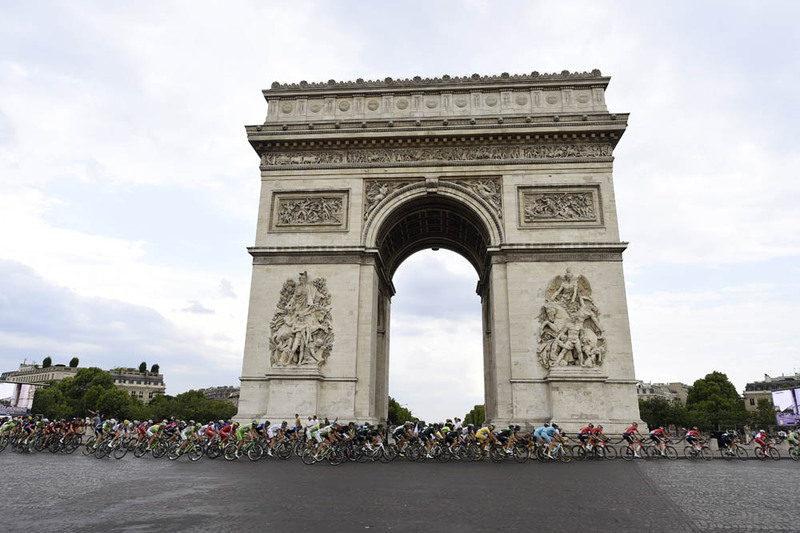 How did it feel riding up the Champs-Elysées for the last time in July? 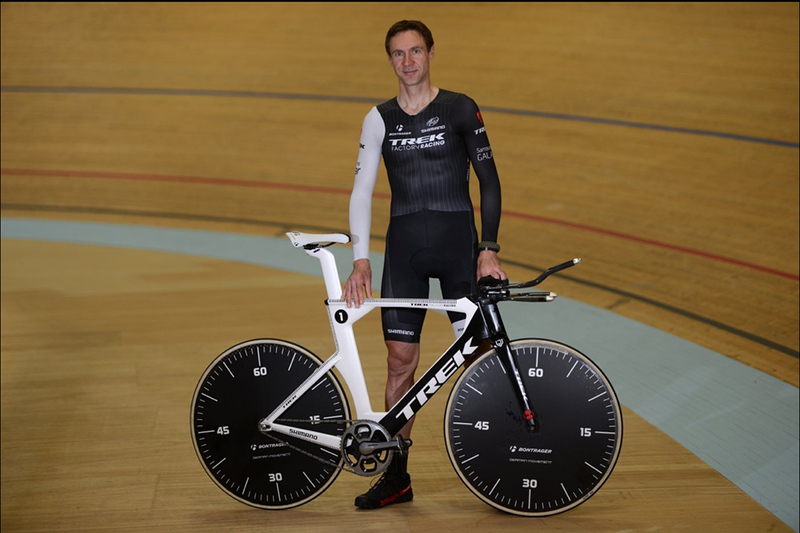 Tell us about your playlist for the World Hour record? JV: Well, it was my show, so I could play what I wanted! I do like rock music. It kept me going. When I was in CSC-Saxo Bank, Karsten Kroon put on music by DJ Chester. And I said: “Who the hell is DJ Chester?” Karsten said, “Are you insane? He’s the biggest DJ in the world!” The next day I had enough of hearing that music, so I put on Iron Maiden. Then in walks Karsten Kroon, saying “Who the hell is that?” I said: “Are you insane?…” When we had more Swedish and Danish riders, they also liked Iron Maiden, so I had support. But all the old guys who liked that music retired, and I was stuck with the young kids who just played disco and techno music. Well, now I won’t have to listen to that any more! What else won’t you miss? JV: I have 17 years of pro cycling behind me, and I have a titanium screw in my left hand, and my right hand will never be 100 per cent straight. I broke my collarbone three times as well. I’m definitely not going to miss the risk of crashing, and the crashes. Another thing I’m not going to miss is the stress of fighting for position. I realised I didn’t like the stress of pushing people with my elbows. You realise you are getting slower and older and you feel the need to be more careful. On those days when you had to get up the morning after a bad day, what motivated you to get out of bed? JV: Yes, sometimes I had days where I had burn-out syndrome but there’s nothing I could do about it. I have six kids, who need breakfast, go to school, to kindergarten, so I had to kick myself out of bed and help my wife and my mother-in-law, who lives with us. Sometimes you have bad moments in training. How would you deal with those? JV: Sometimes you just need people to cheer you up, so you look for a group to train with. Other times, you try and avoid meeting anyone, just have some time to reflect for yourself. Fortunately, I only felt this in the last few months of my career. During my last winter of training, I had moments where I sighed and thought, “I don’t want to do this any more.” Up until then, I had enjoyed being a racer 99 per cent of the time. From where do you get your work ethic and generosity? JV: My wife and the kids. I go home and my daughter says, “Daddy, I did my first forward roll today!” They are different priorities, but I really think that having a good family helps you stay grounded and get your priorities right. I mean, sport is great, bike riding is great, but it’s just a sport, and sometimes you’ve got to remind yourself of that. How are you finding retirement? JV: It still hasn’t fully sunk in, but I am enjoying all the burgers and beers I want! The children were happy when I told them daddy is retiring and is going to have more time. But I now realise I’m still very busy, even though I’m retired. JV: Yesterday I was at a meeting in Hanover doing a motivational speech; today I’m here in Birmingham. Contrary to popular belief, I’m not a millionaire! I’ve been well paid, I have a nice house but I have six kids to feed. I live in Germany and pay my taxes there. I’m not living in Monaco or Switzerland, so I will need and also want a job that keeps me busy. And what will that be? on what I am good at. Would you go on the German equivalent of Strictly Come Dancing or Big Brother? JV: I have two words: f*** that! I’d have to be insane to do that. I did 17 years of professional cycling, so I’ve had enough years in the spotlight. I’m not craving for that sort of attention any more, and I think you make yourself smaller by signing up for that. What I should do, which would be a huge success, is something like The Osbornes, to show my family life — my wife and me, six kids, my mother-in-law, two dogs, a cat and six rabbits. Sounds good to us. Any other ideas for TV shows? How would you sum up your career? JV: My career was not always a stroll in the park. I had to fight for whatever I got but I am happy and am proud of the way I did it, and if I were at the start line again, I probably wouldn’t change a thing. I want to be remembered as someone who was loyal, indestructible, hard-working, and usually had a smile on his face.